In the market to expand your existing alarm business? Looking to grow your security alarm company? If so, you’ve come to the right place. 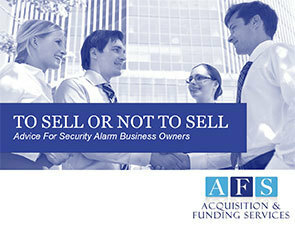 At Acquisition & Funding Services, we take pride in helping alarm company buyers and sellers connect to facilitate beneficial, profitable alarm company purchases and sales. And we have decades of experience doing just that! 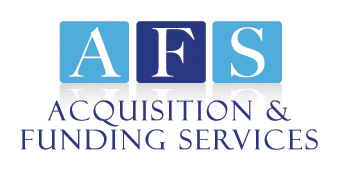 AFS’ acquisition services are designed to help you purchase an alarm or security company while receiving the benefit of our considerable experience and skill in the security services market. If you’re looking to grow your business by purchasing an alarm company for sale, working with an experienced broker who can guide you through the process and help you find the ideal alarm business to purchase is immensely beneficial. We understand the security alarm business, and how to help you best achieve your objectives. With a high degree of professional expertise in all areas of acquisition, we will help you locate, finance and close on your business in short time. At AFS, we work closely with alarm company buyers and sellers, making us a valuable resource if you’re in the market to buy a security alarm business. We have access to alarm companies for sale and we’re experts at pairing qualified buyers with the sellers who are looking for them. If you’re looking to explore your options and you’re interested in purchasing a high quality, well managed company, working with a broker like AFS is a good place to start. Partnering with us, you’ll have the chance to learn about alarm companies for sale, then find and purchase the security company that aligns best with your existing business. Alarm company mergers and acquisitions can be expensive endeavors. 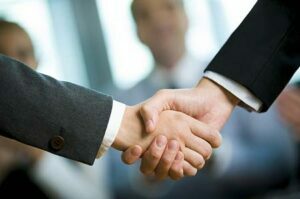 At Acquisition & Funding Services, we are proud to offer a variety of security company financing options to help fund your company’s expansion and growth. Whether you are looking to purchase an entire alarm company or a cluster of accounts, we have funding options that will work for your business. Our options are competitive, and we’re a trusted lender within in the industry. Learn more about the AFS Loan program. Let us help you grow your business! Working with us, you’ll have access to alarm companies for sale and access to the funding and financing options you need to make an acquisition happen. Call us at (800) 354-3863 (Rory Russell’s cell – 24/7 availability) or contact us online to learn how we can connect you with sellers of security alarm companies and accounts and help you finance your business’ growth.